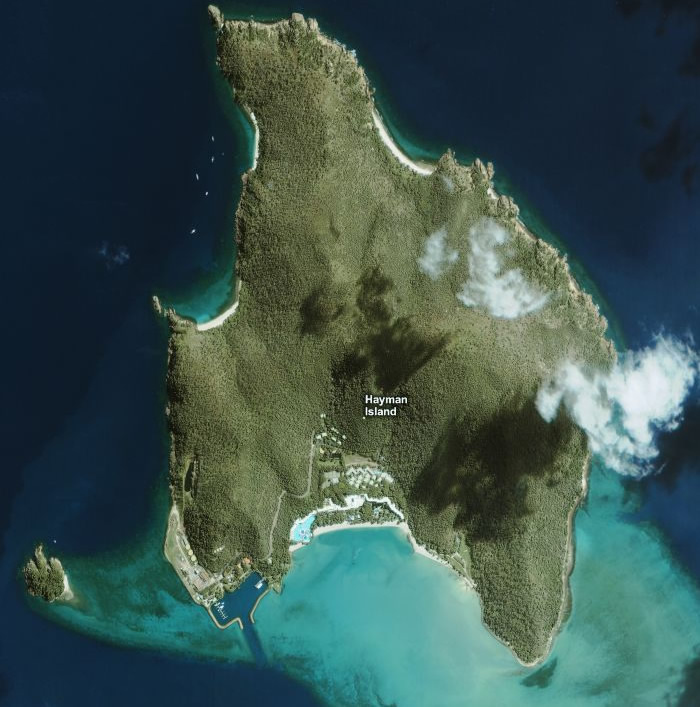 The Australian mainland is visible from Hayman Island as well as several other Whitsunday Islands. The award winning resort is found on the South West side of the island. Hayman Island resort covers 31 acres and lies on 2 sandy beaches. As you can see from the Hayman Island Resort Map below, all the facilites and activities imaginable have been provided.